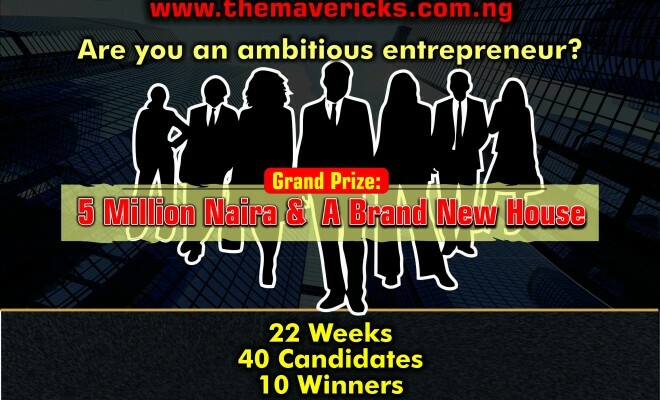 The Mavericks is a real estate competition and internship programme in search of ambitious, audacious, and tenacious young entrepreneurs with unconventional thinking-mentality, commercial insight and business sense. Selected entrepreneurs will battle it out for 22 weeks during which they will meet different mentors, educators, successful entrepreneurs while hoping to win a grand prize of N5m and a brand new house. During their 22 weeks stay, the candidates will embark on different business tasks, and with a major business task/challenge of running their individual assigned business task during the programme. Audition for The Mavericks is billed to take place in Lagos on Thursday, February 9th, 2017; after which 40 finalists will make it to the internship and competition programme. 10 winners will emerge eventually but only one will go home with the grand prize, while other 9 winners also go home with prizes. Register for The Mavericks internship and competition programme here.